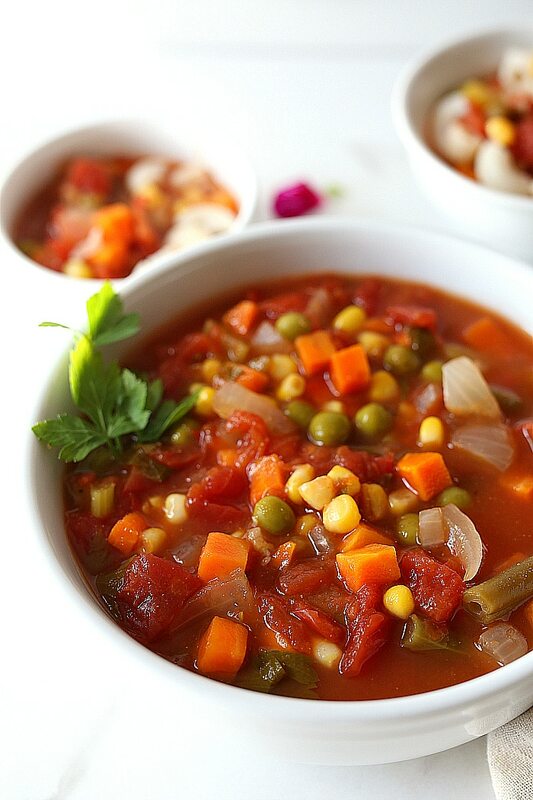 Vegetable soup is healthy and ready in less than 30 minutes! 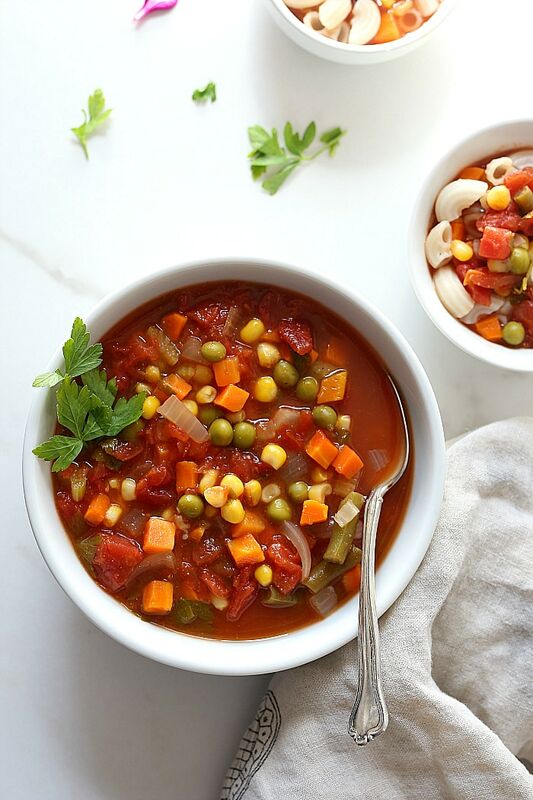 Using organic frozen vegetables in this easy vegetable soup recipe means less dishes and more time! 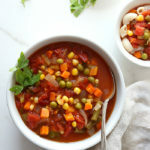 A family favorite healthy vegetable soup recipe full of green beans, tomatoes, corn, peas, carrots, celery and onion! 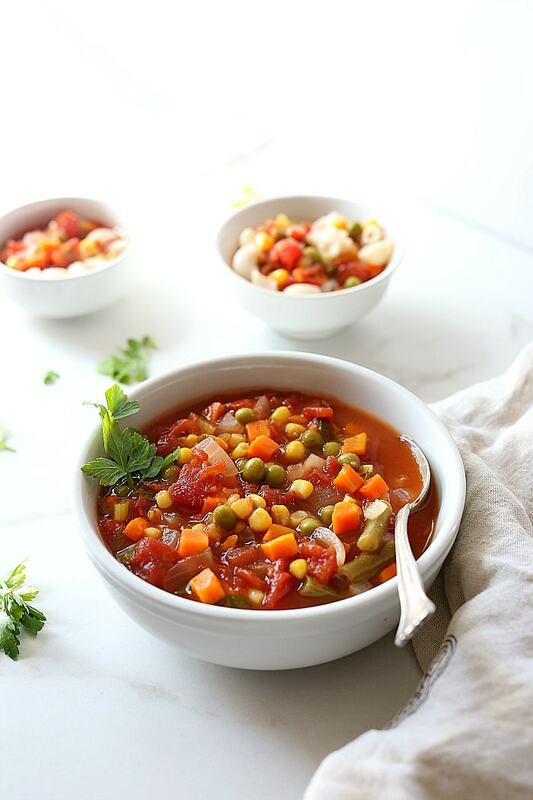 This quick and easy vegetable soup is brought to you courtesy of little C, who adores cooking with me! It is one of the simplest soups to put together with most of the vegetables already chopped and prepared. That means kids can make it and there are minimal dishes! 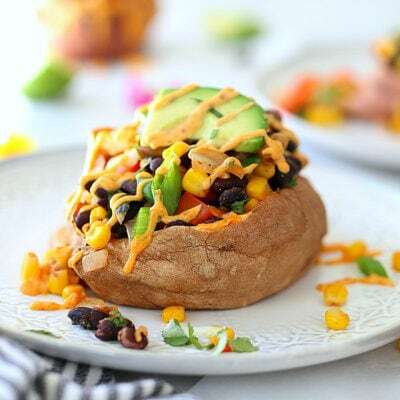 That is a WIN-WIN for everyone leaving you with more time to enjoy this chunky bowl full of robust flavors! 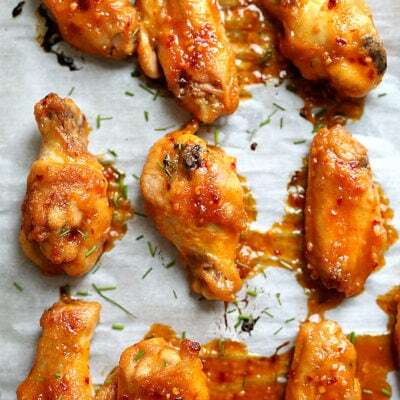 It is also delicious paired with bread for dipping! 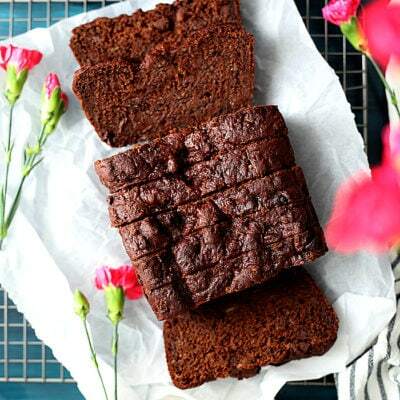 Try it with homemade gluten-free bread or gluten-free bread sticks. When my little guy opened the fridge the other week he saw vegetable broth and requested soup for dinner. I had a bag of frozen vegetable mix with green beans, corn, carrots and peas and a box of diced tomatoes. He said “let’s make a healthy veg soup!”. He is not a big meat eater and prefers vegetarian foods so “veg soup” is a fitting request with him?. He pulled up his chair to the stove, got his apron on and poured each of the ingredients into the pot. Then I turned on the heat?. From now-on very time it is my four-year old’s night to make dinner, can you guess what we will be having? 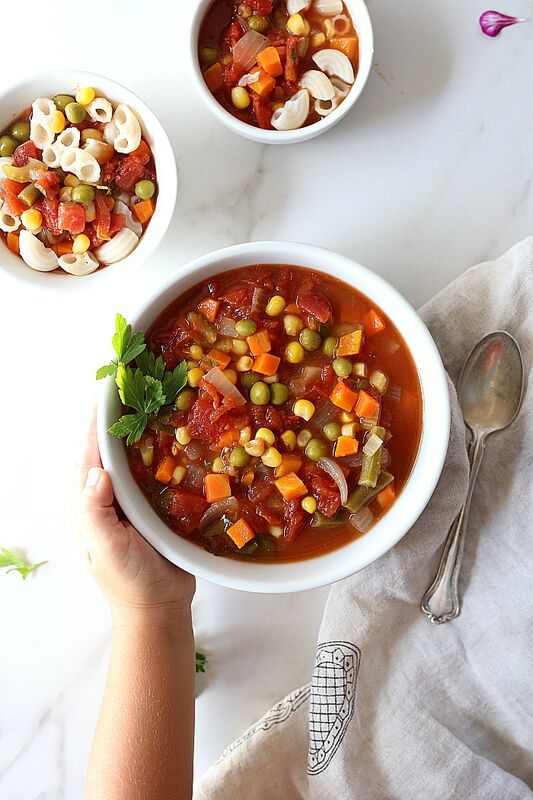 The soup can easily be transformed into a minestrone soup quickly by adding cooked noodles and beans into the recipe right before serving. I change it up sometimes for my kids this way. This soup is also even more delicious served the next day! The ingredients are already prepped except for the onion and celery. Chop the onion and celery and add all of the ingredients to a large pot. Cover and turn the heat to high until it starts to bubble on the sides. When that happens turn the heat down to medium and cover for about 20-30 minutes to until the vegetables are soft. 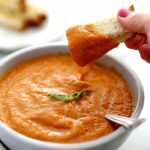 Serve this soup in various forms! Add beans, gluten-free pasta noodles and/or cheese and turn it into an Italian vegetable soup. 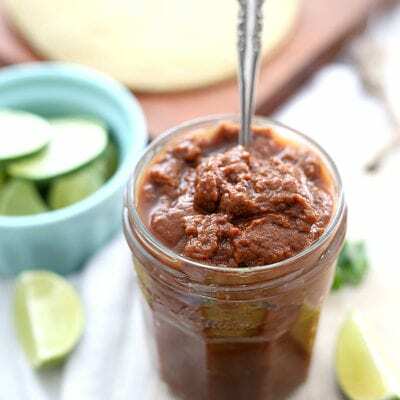 You can serve it for dinner by itself or with cheese quesadillas, fresh bread, or grilled cheese. 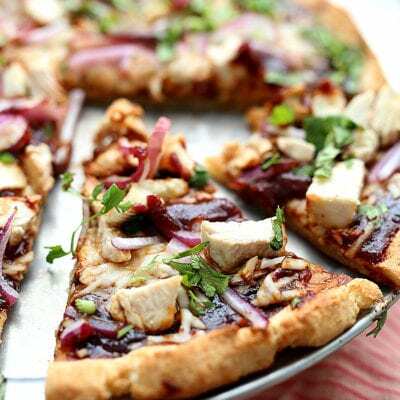 Leftovers can be packed for school lunches the next day. 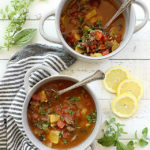 Our family loves tomato based dishes and we are all BIG fans of this hearty vegetable soup and I know you will love it too! 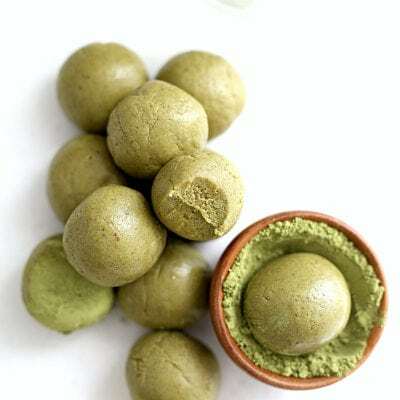 It is also vegan and caters to most specialized diets if you have an dietary concerns. This soup is so good we even had it again last night?! In a large saucepan all of the ingredients. Cover and turn the heat to high until the edges of the soup start to bubble. When they start to bubble turn the heat down to medium and cook covered or about 20-30 minutes until the vegetables are soft.